Use the service of cheap online flower delivery to Riga and any other city of Latvia from the best floristic studio of the capital KROKUS. 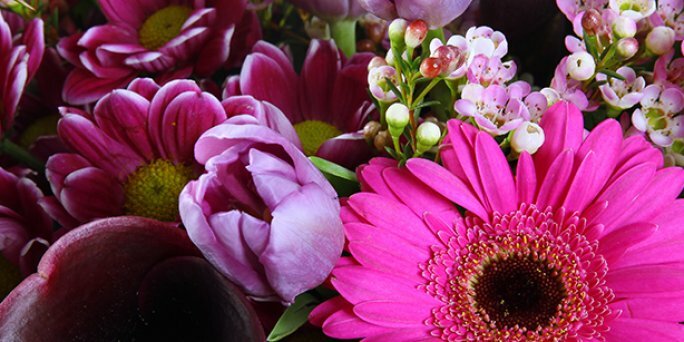 You can make an order for online flower delivery cheap on our website in just 5-10 minutes. We will deliver a luxurious bouquet directly to the home of the gifted in perfect condition and just on time. In the catalog of our online shop, there are available online flower order and delivery of magnificent fresh flowers, as well as arrangements from them, which will be an excellent gift for any holiday. You can purchase cheap flower delivery on the website or by phone +371 200 303 06. ● carnations and many other flowers. Such accessories as balloons, candles, greeting cards, fruits, berries, chocolates, candies, soft toys, souvenirs, cakes, rose petals, vases and other gifts that you can buy in our shop will help to complement these arrangements. How to make online flower order and delivery to Riga (Latvia)? ● bouquet viewing before sending, etc. You can make an order using the convenient functions of our website or simply by calling the shop manager at the specified number and specifying the details of the purchase and delivery of flowers. In addition, in the phone mode you can get a free consultation on the choice of a bouquet, as well as help in ordering.